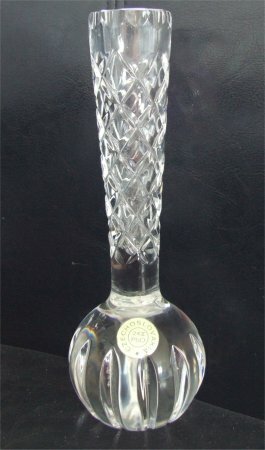 This clear vase is approximately 182mm (7& 3/16ths inches) tall. 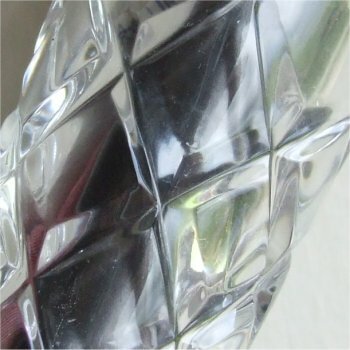 The base is approximately 60mm (2 & 3/8ths inches) across. 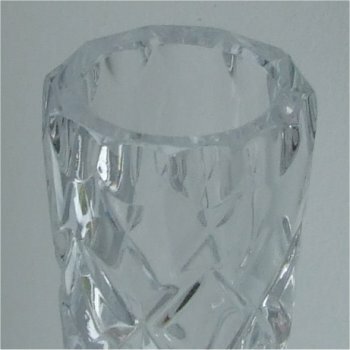 The stem is clear and has a wide flare of approximately 33mm (1 & 5/16 inches) the rim has eleven cut semicircles around the top and the stem is decorated in diamonds. 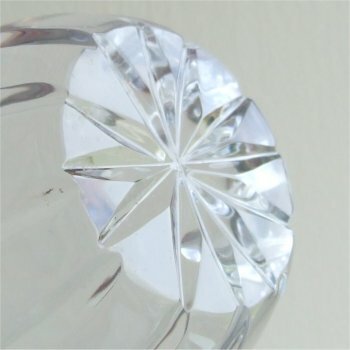 Around the base has twelve deep vertical cuts, and the bottom of the base has a twelve point star cut. 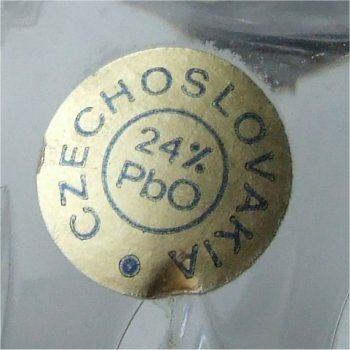 The label is round with a metalic gold finish with dark blue lettering, stating 'CZECHOSLOVAKIA 24% Pbo' ( see images below).